Posted byadmin	 7. September 2014 1. 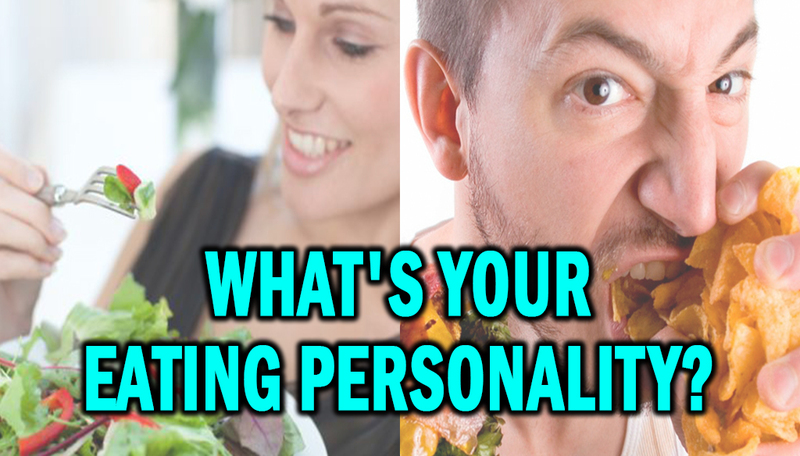 January 2015 Leave a comment on What’s Your Eating Personality? Do you tear through your cabinets looking for a snack at midnight? ‬Is dessert a must have after every meal? ‬Do you drive-thru for most of your meals? Do you eat when you’re stressed?‬‭ ‬In order to make any substantial progress with your weight-loss and fitness goals you will have to take an honest look at your eating habits throughout your daily routine. The truth is that most people are unaware of their sabotaging habits.‭! ‬It’s important to know your eating personality ‬to know what your challenges might be and to be able to prepare yourself for these particular needs. Try to determine which one of these categories you fit in. Social eaters:‭ ‬Would you rather eat with a group of friends than alone? ‬Do you eat at social gatherings even if you have already eaten? ‬Do you share food with others just to fit in? ‬Do you push friends to try your food or eat with with you? Emotional eaters:‭ ‬ Do you eat in response to emotional triggers like if you’re stressed,‭ ‬depressed,‭ ‬upset,‭ ‬or ‬feeling out of control? Some people start and continue to eat emotionally as a way to distract themselves from issues and emotions.‭ ‬‭ ‬If you eat when you’re anxious or depressed but not necessarily hungry,‭ ‬you may be turning to food to suppress your emotions rather than satisfy your appetite. Maybe you fit into more than one of these categories, or even all of them. What can you do to control these self-sabotaging behaviors? Does your environment support your new eating habits? ‬If there’s nothing tempting in the house to eat,‭ ‬chances are you’re going to eat properly.‭ ‬So it would be a good idea to take some time and survey what items you have in your pantry and refrigerator.‭ ‭ Instead of turning to food as a coping mechanism try to develop a support system to help manage your stressors. Make sure you surround yourself with supportive people that understand your goals. In order for you to reach your fitness and weight-loss goals you have to be in control of your eating habits. Try these suggestions for at least one week, you might be surprised what you find out about yourself!